Rep. Darrell Issa (R-CA) announced on Wednesday he is retiring from Congress this year. Issa has been serving in Congress since 2001. 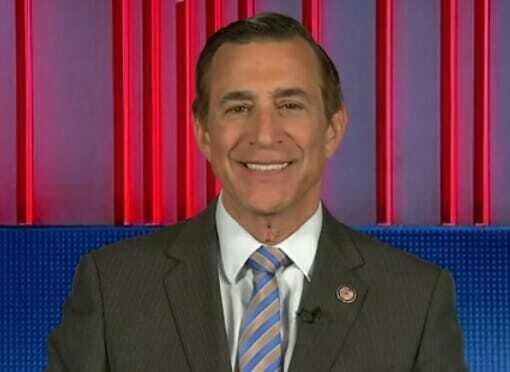 Issa, a successful businessman, has been named the wealthiest lawmaker in Congress. Democrats tampered with his district over the past several years. Issa won his first election in 2000 by 61% to 28%. In 2016 Issa barely won his district by half a percentage point. Issa barely won reelection in 2016 by just over half a percentage point in a San Diego-area district that went for Democratic presidential nominee Hillary Clinton by about 7 points. The former House Oversight Committee chairman would have faced a tough path to reelection in an increasingly Democratic district. The lack of a 17-year incumbent will make it easier for Democrats to win the district as they seek to win back the House this year. House Foreign Affairs Committee Chairman Ed Royce (R-Calif.), who also represents a district won by Clinton, announced on Monday that he won’t seek reelection this year, either.